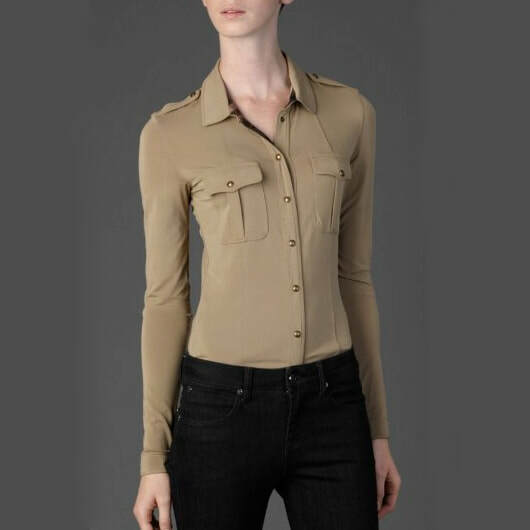 The Duchess of Cambridge has worn this Burberry matte jersey cargo-style shirt to a few casual events since July 2011. 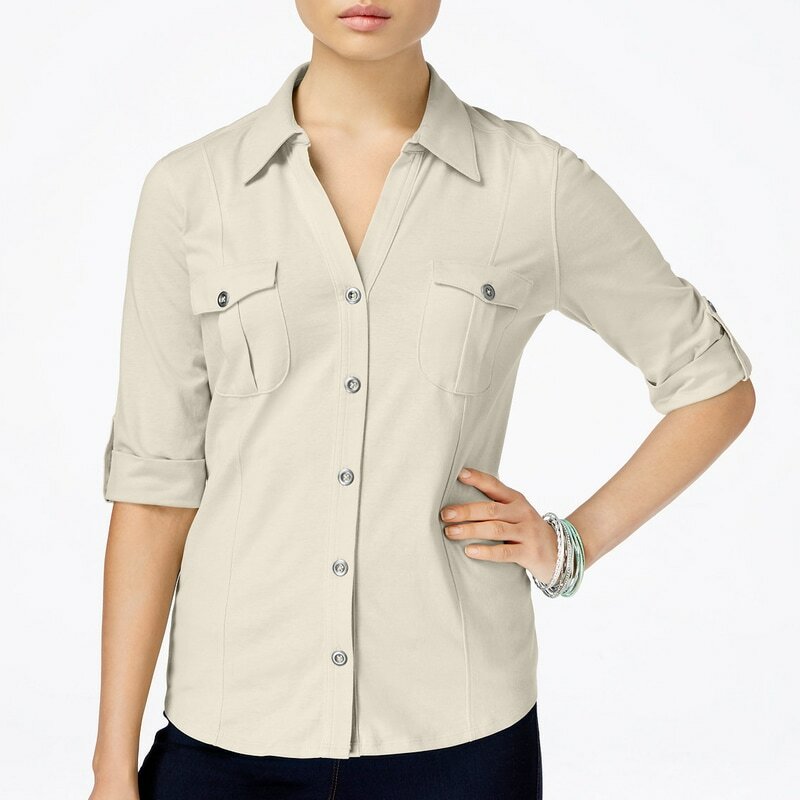 The slim-fitted shirt has military inspired front patch pockets and epaulettes, and logo-engraved dome snap buttons. 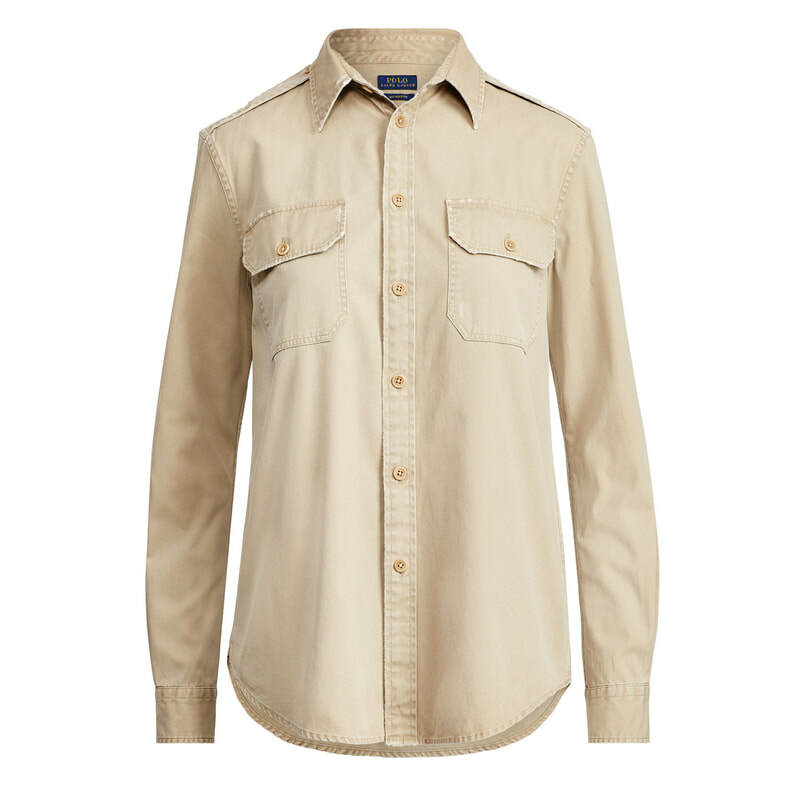 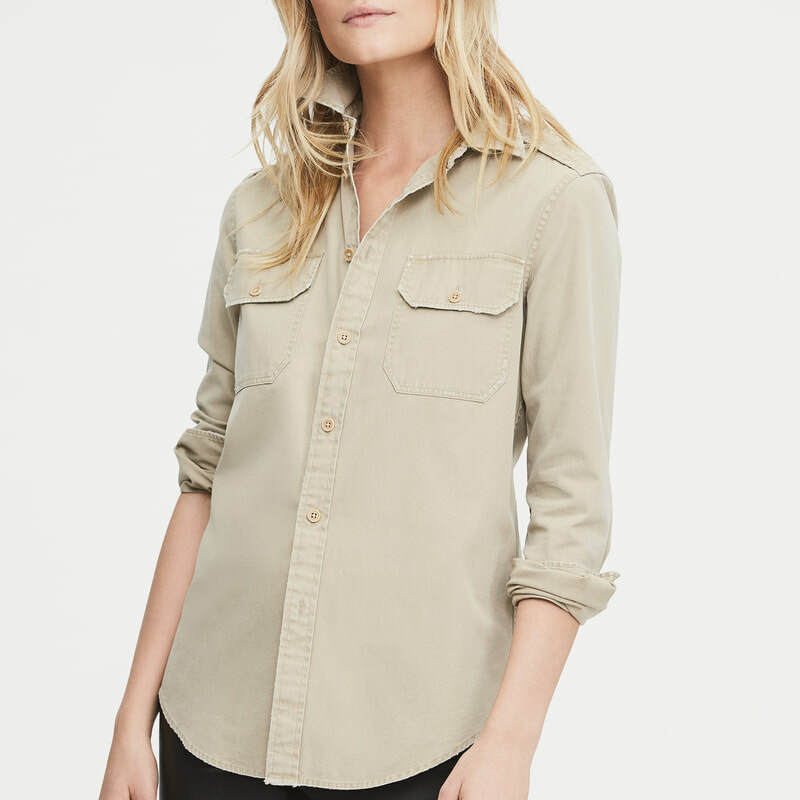 STYLE FILE: Burberry Military Pocket Jersey Shirt as seen on Kate Middleton, The Duchess of Cambridge.